Here’s why Chloe + Halle are more interesting than thousands of other singing YouTubers. A few years back, when they were 13 and 16, they posted this cover of Beyoncé’s ‘Pretty Hurts.’ And it caught the attention of Queen Bey herself. Beyoncé took the girls under her wing, offering creative and financial support. Chloe x Halle landed prime gigs, including a performance at the White House Easter Egg Roll, where they were introduced by an adoring Michelle Obama. 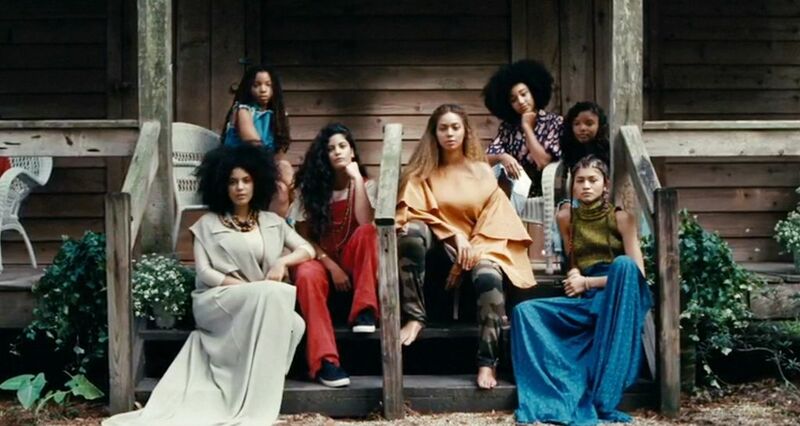 They even scored a plum spot in the Lemonade “visual album,” sharing a stoop with Beyoncé and a group of defiant young black women. Recently, Beyoncé’s Parkland label signed the sisters to a million dollar deal. More on that tomorrow. This entry was posted in song of the day and tagged Beyonce, Chloe x Halle, Pretty Hurts. Million dollar contract? Well, now I’m impressed!